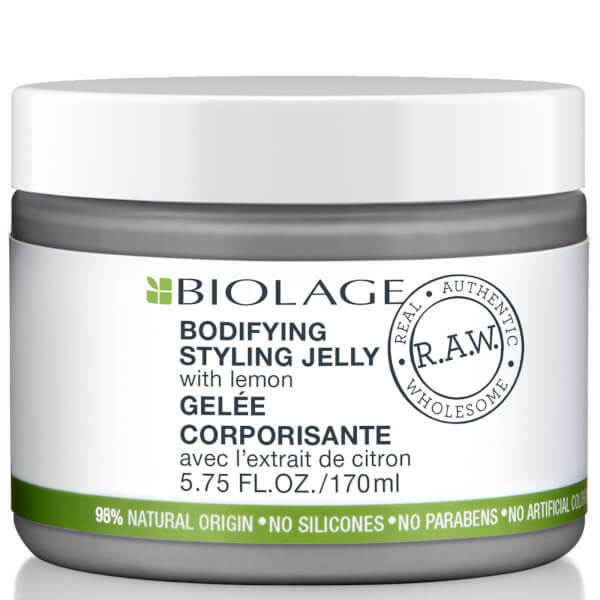 Expertly create enviable body with the Biolage R.A.W. 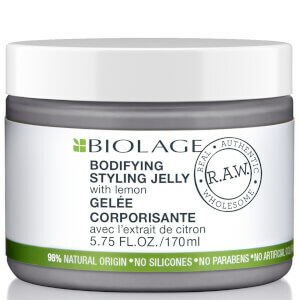 Bodifying Styling Jelly; a unique styling product that transforms fine, flat and lack-lustre hair types. Effortlessly gliding through damp locks before the styling process begins, the Lemon-infused gel helps to create a look of fullness once hair is blow-dried and styled. The creamy formula is easily distributed, ensuring full and flawless results. Expect a soft lift and natural-looking body. Free from parabens, silicones and artificial colours and fragrance. On damp hair, begin with a small amount and apply more if needed. Work into roots and through the ends. Blow-dry and style as usual. Aqua / Water, Hydrogenated Starch Hydrolysate, Glycerin, Benzyl Alcohol, Dehydroxanthan Gum, Calcium Carbonate, Caprylyl Glycol, Citrus Limon Fruit Extract / Lemon Fruit Extract, Acacia Senegal Gum.